My work is inspired by the interaction between land and sea. Fascinated by the ever changing landscape sculpted by the elements I try to capture this through colour, form and texture. 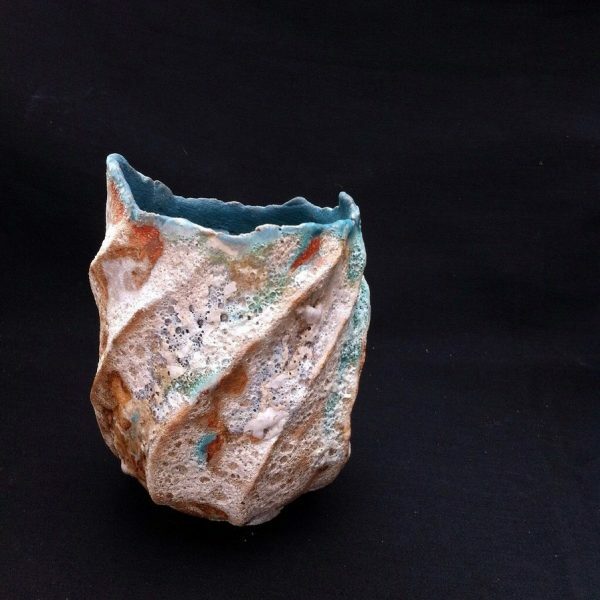 My pieces are built by hand with a grogged stoneware clay suitable for both inside and outside. Using mainly the coiling and slab process then cut, reshaped and sculpted; adding and removing sections as the piece evolves resulting in a spontaneous and instinctive sculpture.